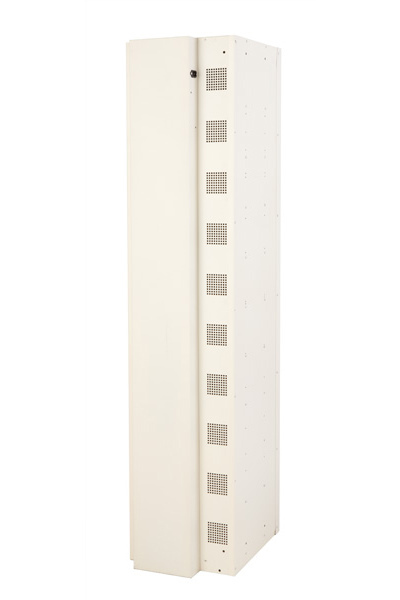 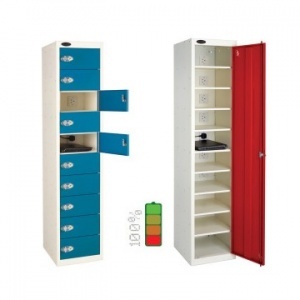 Media Tower charging locker with 10 shelves for the secure storage and charging of laptops, netbooks, tablets and other media devices. 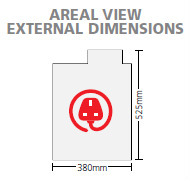 Each compartment includes a standard 3 pin socket for easy convenient charging. 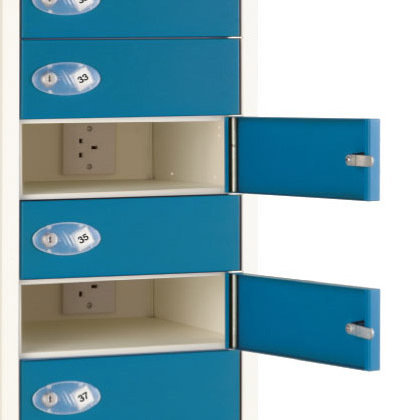 Available with 1 single door or 10 individual doors each with their own lock, a practical storage solution for schools and colleges.